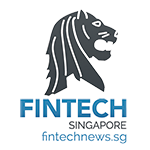 OCBC Bank’s FinTech accelerator programme, The Open Vault at OCBC FinTech Accelerator, has come to a successful close with three upcoming pilot tests with three start-ups – Fincast, BondIT and CogniCor. The pilot tests involve wealth management and artificial intelligence solutions – two key pillars of innovation for The Open Vault at OCBC, OCBC Bank’s FinTech and Innovation lab. The pilot tests will begin in the fourth quarter of this year, and will last for three months. As for the other five start-ups that had participated in the accelerator programme, OCBC Bank will continue to explore opportunities to collaborate with them. “I am very pleased that the OCBC accelerator programme has proven itself. Having invested time and resources over six months, we now look forward to piloting three FinTech solutions that will begin benefiting our customers as early as the end of the year. To me, the much talked-about disruptive power of FinTech lies in how it can deliver “exponentially” enhanced experience value that is much beyond the expectation of our customers, and not just incremental improvements. Banks have so far been countering the onset of FinTech by falling back on our traditional strength, which is the high level of trust that customers place in us. However, that is no longer adequate. We too must disrupt – to deliver outsized value that we can then marry to our trust advantage. Our three solutions, impacting wealth management and customer service, will make banking easier and simpler in ways we have never offered before – either in improving customers’ experience or providing much enhanced inputs to guide our customers’ investment decisions. Deploying these solutions will involve changing the way we do things. They may even require us to adjust our business model, and we are entirely happy to embrace “disruption” of this kind too, if it means delivering greater value and ultimately further securing the trust from our customers. OCBC Bank will pilot two new wealth management platforms to improve the way financial advisors manage their customers’ investment portfolios. The first is a portfolio management tool called Fincast. Once a customer’s wealth goals are keyed in – for instance, the amount of investments a customer desires to achieve at retirement – the software analyses the customer’s existing investment portfolio and investment preferences, and delivers recommendations on what investments a customer needs to achieve his investment objectives. The software cuts down the amount of time required to manually analyse a customer’s investment projections, making possible a more efficient and effective response to the customer’s investment requests. The software has an easy-to-navigate interface that relationship managers can show directly to customers on mobile devices like tablets. OCBC Bank will pilot this platform at its Premier Banking branches for up to 100 customers selected based on a range of different customer profiles over the three-month pilot period. Using this digital tool, Premier Banking relationship managers will be able to have face-to-face conversations with customers about their financial goals and use the software’s intelligent financial projections to advise customers on the types of financial products they need to meet their investment goals. The second wealth management tool, BondIT, will enable Bank of Singapore relationship managers to provide superior service to customers with investment portfolios focused on bonds. The platform allows them to optimise their customers’ portfolios and provide investment recommendations tailored to each customer’s risk profile and wealth goals in just 90 seconds, compared to traditional methods of bond portfolio analysis which can take up to two days. The software makes the process of analysing bond market information more efficient and simple, operating like a human bond market analyst. The software stores a massive amount of bond data, which it can instantly pull up and analyse together with data regarding the customer’s investment appetite, goals and investment preferences. The relationship manager can then immediately use the software’s recommendations to advise customers on what bonds to invest in. These wealth management solutions are designed using analytics and algorithms to improve the process of monitoring and managing customers’ investment portfolios. With these, OCBC Bank can improve customer experiences as relationship managers can now instantly advise customers on their wealth and investment needs using scientific data validated by OCBC Bank. This minimises the wait time for a customer between making an investment request and the process of getting an analyst to manually analyse and optimise the customer’s investment portfolio. Relationship managers will find engaging their clients now more efficient and effective, while customers will experience service that is swift and insightful. Lastly, OCBC Bank will pilot a new virtual customer service agent – powered by CogniCor – on its home loans webpage to address initial queries from customers interested in OCBC Bank’s home loans. This gives customers an alternative digital avenue to contact OCBC Bank, without having to call the Contact Centre or mortgage specialists directly. This improves operational efficiency as customers can now obtain information about OCBC Bank home loans more quickly, with real time responses delivered through an instant messaging chat box directly on the OCBC Bank website. This virtual agent responds to customers’ queries as if a human were responding to them. When a customer types a query in the chat box, the system works by automatically processing the context and language used in a customer’s typed text, and generates personalised responses pertaining to the query. For example, customers can request the virtual agent to provide information about OCBC Bank’s home loan packages, interest rates or renovation loans. The virtual agent does not deliver standard responses, but learns and understands the language used by the customer to deliver more human-like responses as if speaking to a real agent. This process provides the customer with an alternative to browsing the home loans website for information, and frees Contact Centre employees to help with more complex customer requests and inquiries. The start-ups involved in The Open Vault at OCBC’s accelerator programme underwent a rigorous curriculum that included mentorship sessions with OCBC Bank senior management and business leaders, as well as workshops to understand regulatory demands in the banking industry and how to secure investment interest. 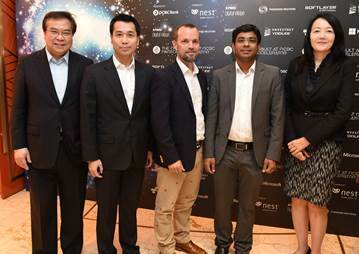 Three of the eight start-ups were also able to leverage OCBC Bank’s data sandbox to trial their technologies in a secure environment, allowing them to highlight the business benefits of their solutions according to perimeters defined by OCBC Bank’s business needs. As part of their “graduating ceremony”, the eight start-ups will make a business pitch to an invited group of private equity firms and private banking clients to secure follow-on partnerships and funding that will take their businesses to the next level. The Open Vault at OCBC FinTech Accelerator Demo Day will be attended by Guest-of-Honour Jacqueline Loh, Deputy Managing Director of the Monetary Authority of Singapore (MAS), and members of the FinTech community including executives from financial institutions, investors and industry experts. The programme was run in partnership with global investment and start-up incubation firm, Nest. Ms Jacqueline Loh, Deputy MD of MAS (extreme right) and Samuel Tsien, Group CEO of OCBC Bank (extreme left) pose with the founders of the FinTech solutions OCBC Bank will be piloting. 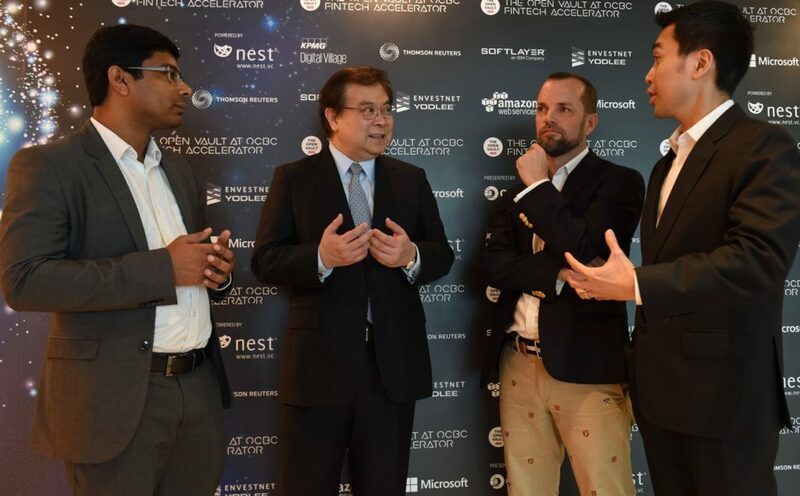 The founders are Rosh Cherian from CogniCor (2nd from right), Andrew Connors from Fincast (centre) and Donald Chan from BondIT (2nd from left). 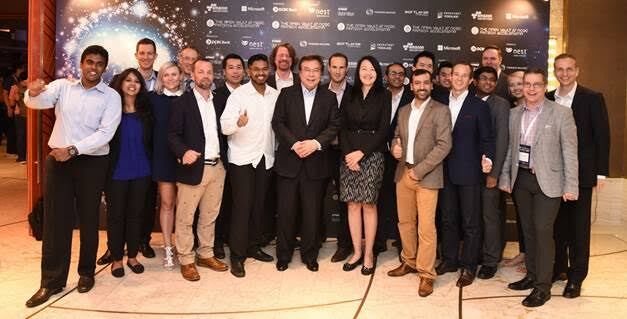 Ms Jacqueline Loh, Deputy MD of MAS (5th from right) and Mr Samuel Tsien, Group CEO of OCBC Bank (6th from left), pose with the graduating cohort of The Open Vault at OCBC FinTech Accelerator programme. “Leveraging our strong track record in partnering banks and empowering entrepreneurs, The Open Vault at OCBC FinTech Accelerator is a platform that allows entrepreneurs to harness innovation by building connections, learn from mentors and develop breakthroughs in banking solutions. With Singapore making her mark as a FinTech hub for the region, it is truly rewarding to be part of a project that makes a valuable contribution to the FinTech ecosystem,” concluded Mr Lawrence Morgan, CEO, Nest. This year’s start-up cohort was selected from over 200 global applications. The eight startups now join an esteemed list of Nest accelerator alumni, based across the globe.